Wild About Jersey weekend – Get Involved! 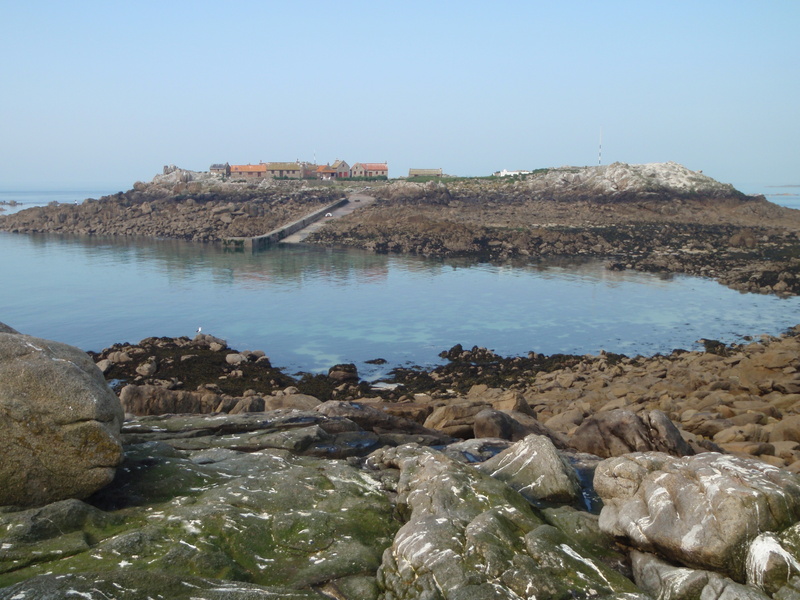 This year’s Wild About Jersey event is themed around becoming involved in wildlife monitoring projects around the Island and will take place on the weekend of 23rd and 24th of April 2016, at Highland’s College, St Saviour. This event is open to everyone so whether you are interested in learning more about local wildlife; you are an existing volunteer or would like to learn about becoming a volunteer for the first time we hope you can join us. There is no cost for the weekend and lunch and refreshments are included (however, do let us know if you have any special dietary requirements). You can attend as little or as much as you would like to, however, as places are limited booking is essential and will be allocated on a first come first served basis. Please fill in the booking form here, clearly stating the names of those attending and return it to Julia Meldrum at J.Meldrum@gov.je no later than Friday 15th April. 09:00 – 09:15 Steve Luce, Minister for the Environment – ‘Welcome / Introduction’. 10:00 – 10:30 Julia Meldrum & Allison Caldeira – Jersey Conservation Volunteers – Mud, sweat and cake – what it takes to be a conservation volunteer. 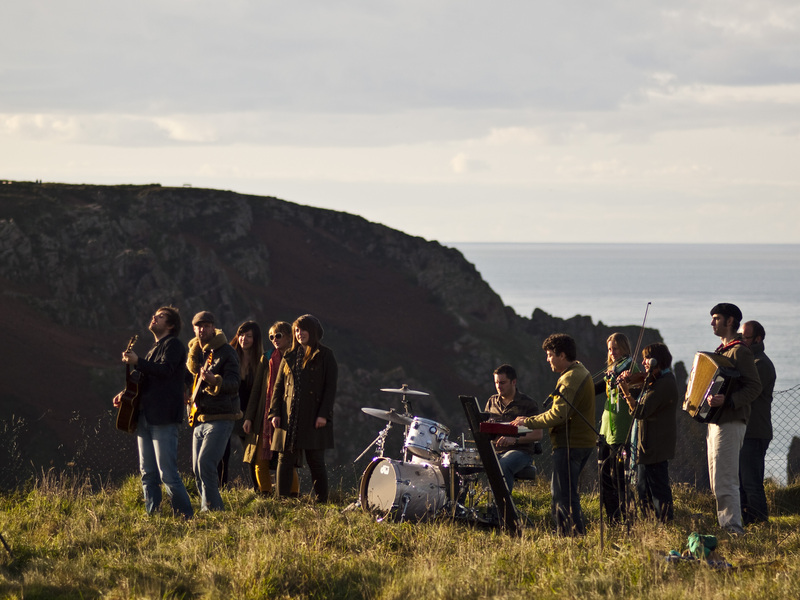 11:30 – 12:00 Kevin Mcllwee – Jersey Seasearch – Polka on the Rocks. 12:00 – 12:30 Helen Miler – Bat Conservation Trust – An Introduction to Bats. 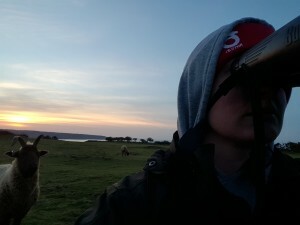 Basic techniques in bird monitoring methods and instruction on how to carry out a bird survey transect. There will be a field element to this workshop by carrying out a transect. 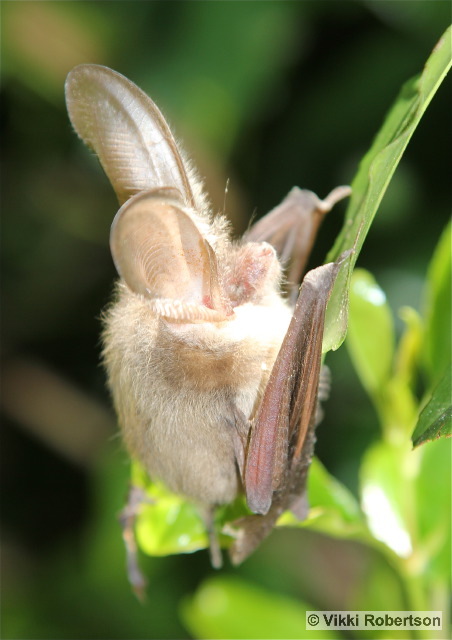 13:30 – 15:30 – Bat Conservation Trust – Helen Miler The Importance for Woodland for Jersey Bats. Identifying the importance of Jersey’s woodlands for bats including the opportunities for roosting, foraging and commuting and how different species use woodland and why. Sensitive woodland management for bats will also be explored. There will be a field element to this workshop visiting a local woodland, to put into practice what has been discussed and to look for potential roost features in trees. 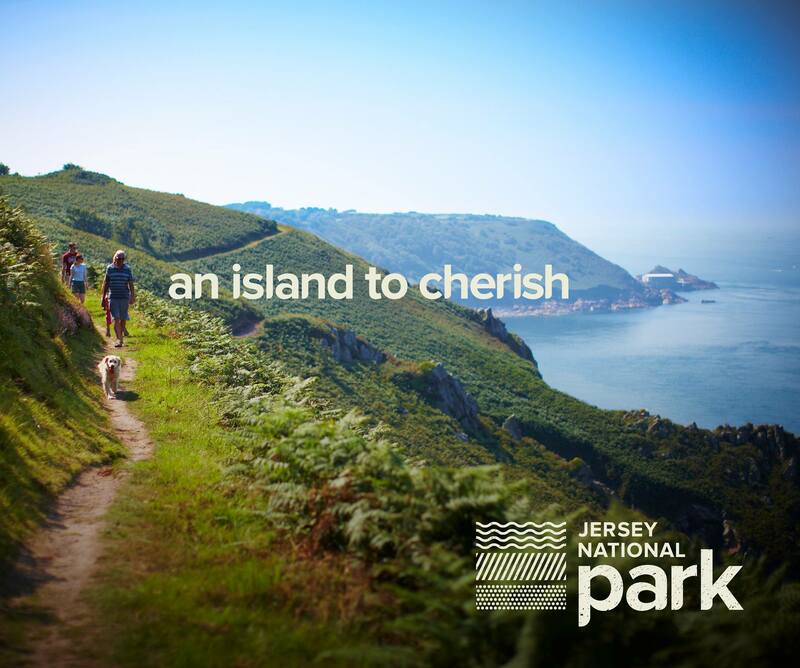 10:00 – 10:30 Dr Paul Chambers – Natural Environment Officer States of Jersey – Winging it: the Jersey’s Butterfly Monitoring Scheme. 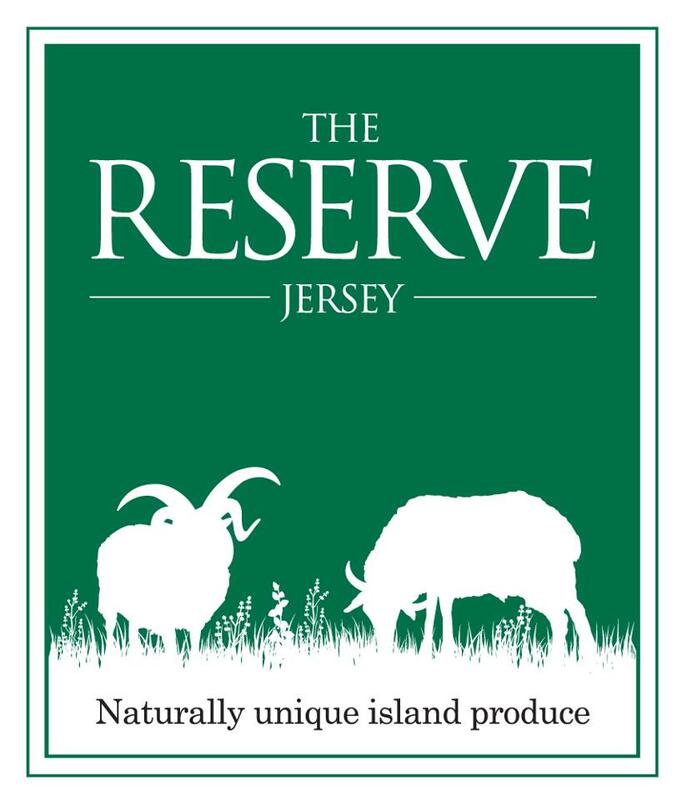 12:00 – 12:30 Nick Aubin – Biodiversity Officer – Jersey Biodiversity Centre (JBC) – Dolphins to dung beetles – role of the JBC. 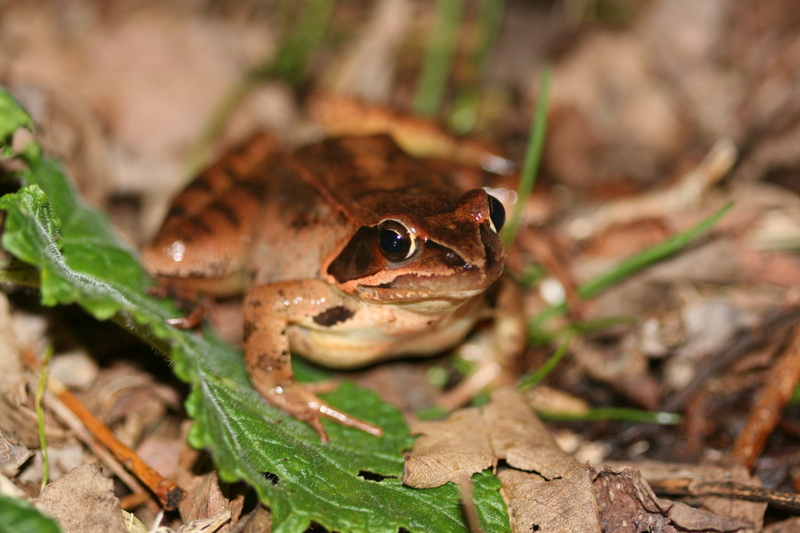 Training in amphibian and reptile identification, habitat assessment, survey methods, recording, health & safety. Including advanced skills for grass snake surveys: highlighting the issues in detecting grass snakes in Jersey and how to improve your chances of finding them. We will provide guidance on what data should be collected if you find one, and training on how to do so. 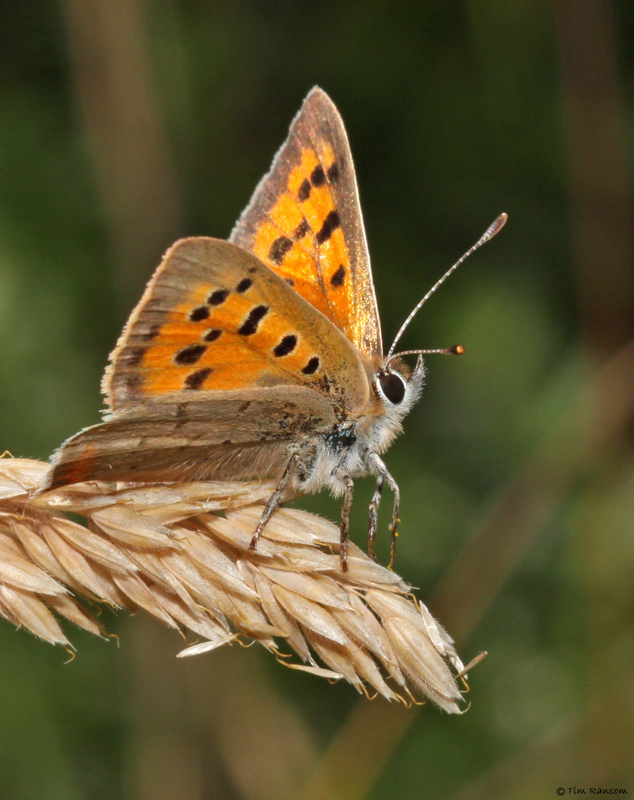 Basic techniques for the identification and monitoring of Jersey’s butterflies and bumblebees. Attendees will learn how to spot and identify common species and how to count them when walking along one of our transects. These are simple biological monitoring techniques that are used across the world and which will allow people to enjoy nature while also contributing to our understanding of it. 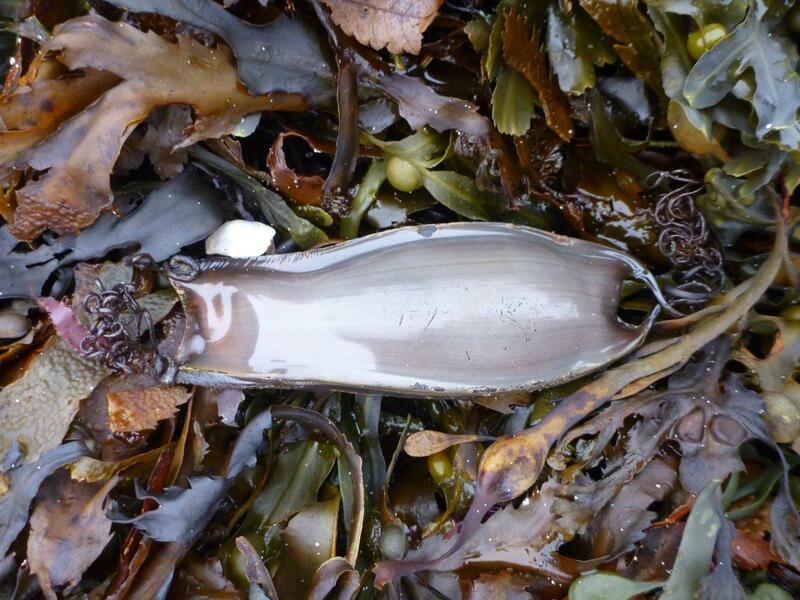 Since December 2012 the Marine Biology Section of the Société Jersiaise has been coordinating a citizen science project with mermaids’ purses (eggcases from rays and catsharks). 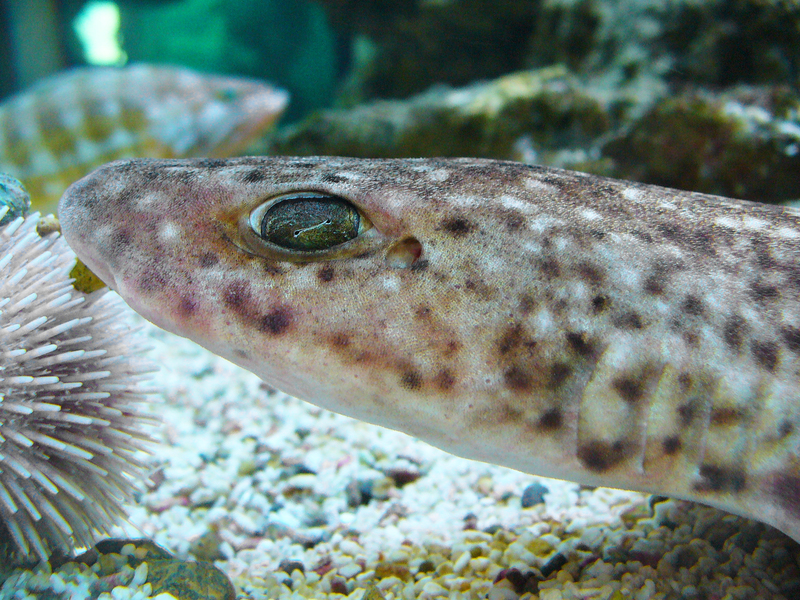 In the autumn and winter empty mermaids’ purses wash up on our coasts in large numbers and can be identified back to the ray or catshark species that laid them. 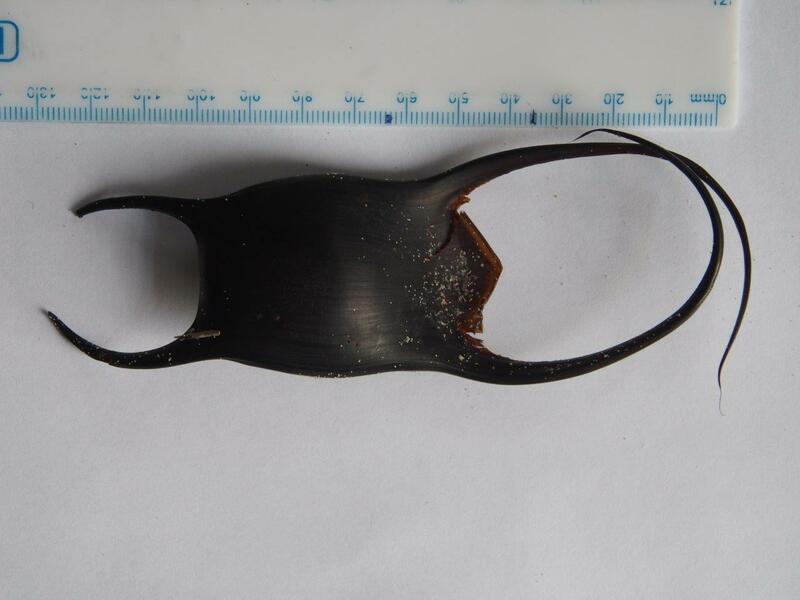 The Shark Trust have been running an eggcase project for several years and it was this that inspired the Société Jersiaise to start its own project (all our data goes to the Shark Trust but we are also looking for local trends). Since starting the project we have collected and identified nearly 6,500 eggcases. The aim is to get five years’ data before running a full analysis but some basic trends can already be discerned. 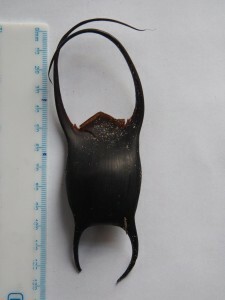 For example, Jersey’s commonest eggcases (44%) come from the undulate ray, a species which is rare elsewhere and listed as threatened in the EU, but is common here. 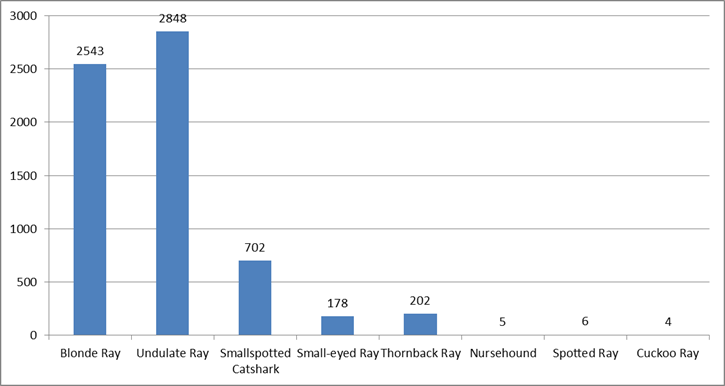 Almost as common is the blonde ray (39%) with other species being much rarer: small spotted catshark (10%); thornback ray (3%); small-eyed ray (2%); and nursehound and spotted ray (both >1%). 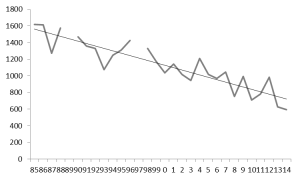 The below chart shows the situation as at end of February 2016. 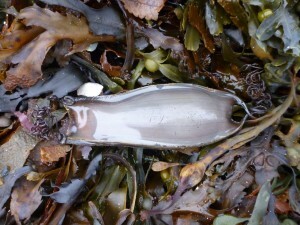 We have also noted a seasonal trend in some of the eggcases – e.g. 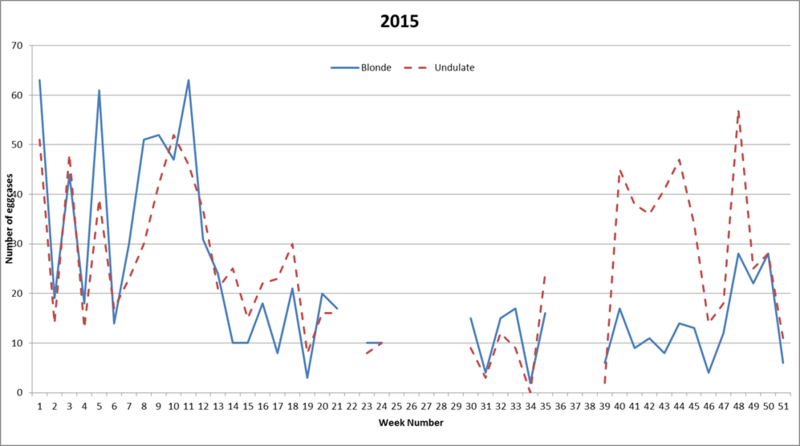 the gap between undulate and blonde ray numbers in the autumn (between weeks 39 and 46 on the chart below) seems to be an annual thing but we’re purposefully not looking at trends in detail until the five years are up. Blonde and undulate ray eggcase appearance in Jersey 2015. Now, we’ve been doing this for over three years and in that time we’ve consistently had the same seven species handed in. 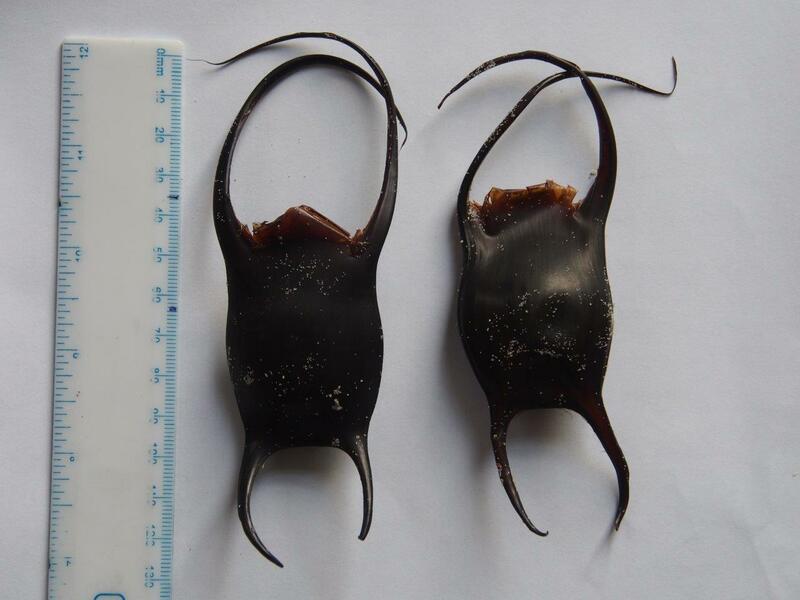 Then, in 2016, we’ve suddenly had four eggcases from a cuckoo ray handed in, three of which are in perfect condition. This is unexpected because there has never been a single record of cuckoo ray in Channel Island waters – nor are there any commercial or amateur fishing records (we’ve checked with Marine Resources and the JFA and there are no angling records). It does not appear in historical lists by Joseph Sinel or Ronnie Le Sueur although, before the 1980s, there was a model of a cuckoo ray in the old Jersey Museum but it was not thought to be local. 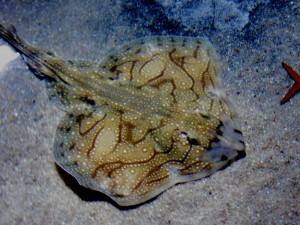 Three of the cuckoo ray cases were collected by Sabina Danzer on the west coast and they are perfectly preserved. The other one was more battered and collected by Geoff Walker in Grouville. The appearances are probably not a coincidence but whether it means that this species (which normally prefers deeper waters than ours but which can stray into shallower seas) has entered our waters is not known. It may simply be that the eggcases have been swept in from the central English Channel but, if so, then why haven’t we had them previously? All very mysterious. 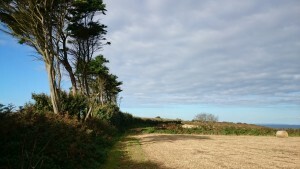 Results are now available from the Birds On The Edge Island-wide Farmland Bird Monitoring scheme, managed by the Durrell Wildlife Conservation Trust through collaboration between Durrell, the Société Jersiaise, the National Trust for Jersey and the States of Jersey Department of the Environment and carried out at five sites between 2005 and 2015 that show that Jersey’s farmland bird populations are poorer than previously thought. 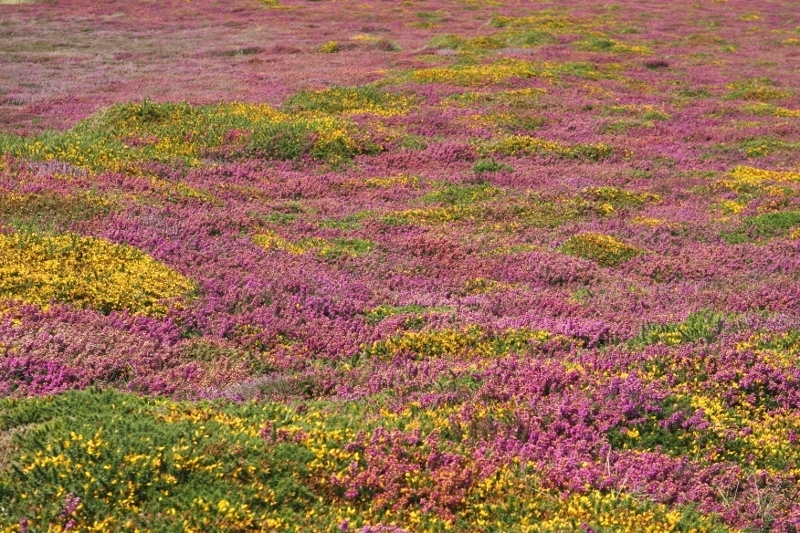 Five sites (at Crabbé, Les Landes, Les Blanche Banques sand dunes, Noirmont and Les Creux) were chosen in part through their connection with the five landbirds detailed in Jersey’s biodiversity action plans published in 2006: skylark, Dartford warbler, stonechat, yellowhammer and cirl bunting. 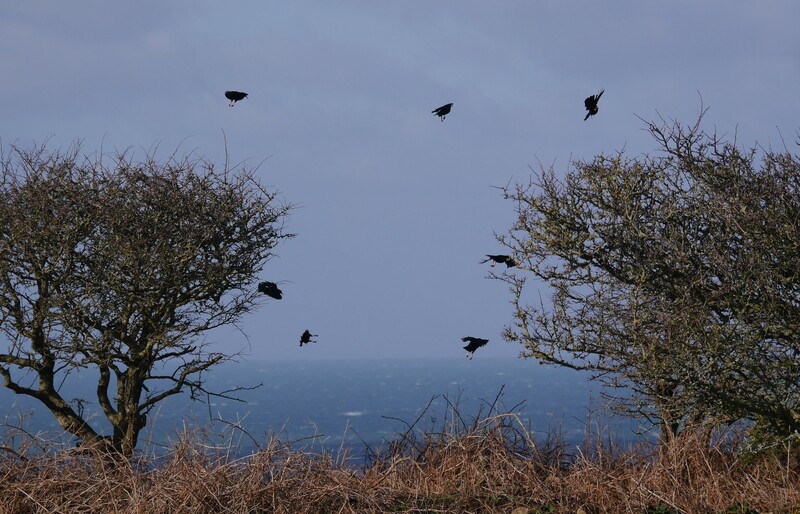 Each of the transects have been walked at two-week intervals throughout the year and types and numbers of birds at different distance bands have been recorded. The dedicated team of volunteers walked more than 1,920 miles over 10 years in order to see what is happening to our birds. Bird monitoring provides one of the most robust and globally recognised methods for measuring changes in the state of biodiversity and the broader environment. 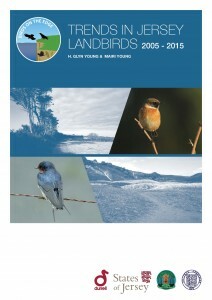 Currently the UK Farmland Bird Indicator is one of the UK Government’s 15 sustainable development indicators. Over the ten-year period the information collated can be used to identify trends in populations and evidence suggests that we are dealing with very much a ‘mixed bag’. A total of 124 bird species were recorded at the five sites during the survey, April 2005 to April 2015. Some of these species were recorded very infrequently or even only once and of all those recorded, 72 species were seen in sufficient numbers to analyse trends. 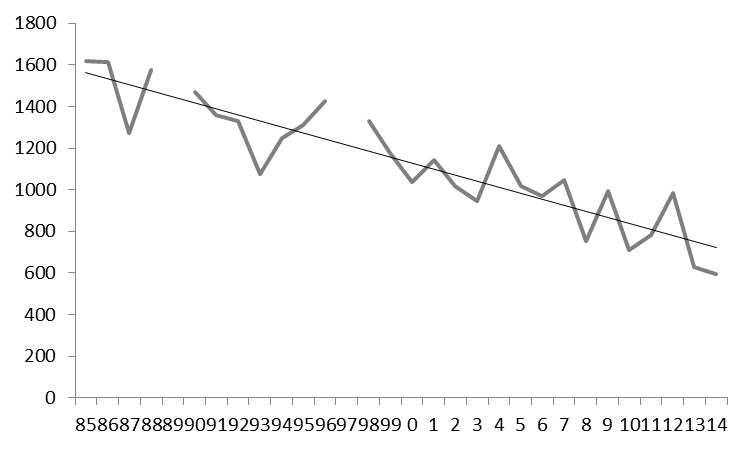 Sixteen of them showed marked decreases across the five sites while a further nine have increased. The remaining species’ populations appear stable with three showing signs of a possible long-term increase and five showing signs of a possible long-term decrease. 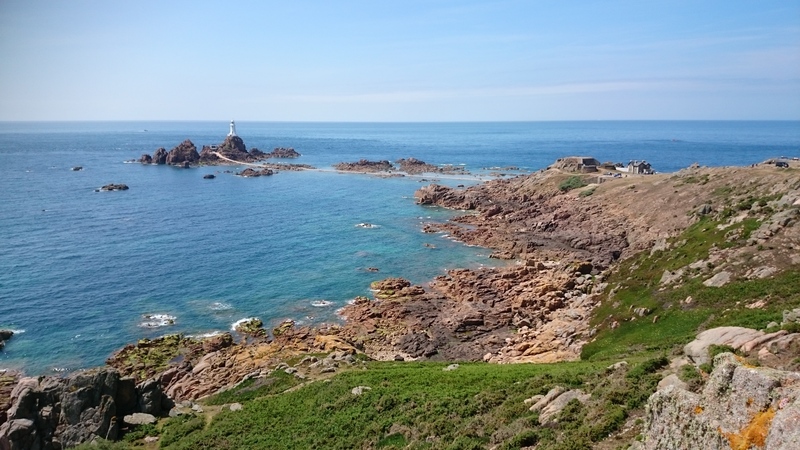 Results coincide with a 30-year survey of birds along Jersey’s north coast published by the Société Jersiaise which shows that overall bird numbers recorded here halved between 1985 and 2014². 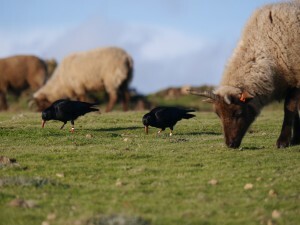 Dr Glyn Young of Durrell, who managed the project, said “the results of these two studies show the importance of long-term monitoring projects like this one and is grateful to everyone who gave so much of their free time to help understand what is happening to our Island’s bird populations”. 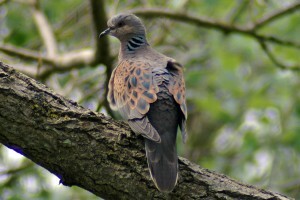 Mick Dryden, Chairman of the Société Jersiaise Bird Section said “The Section has collected bird records for more than 50 years from right across Jersey. This study has clearly shown the value of intensive, systematic study from a group of keen volunteers”. 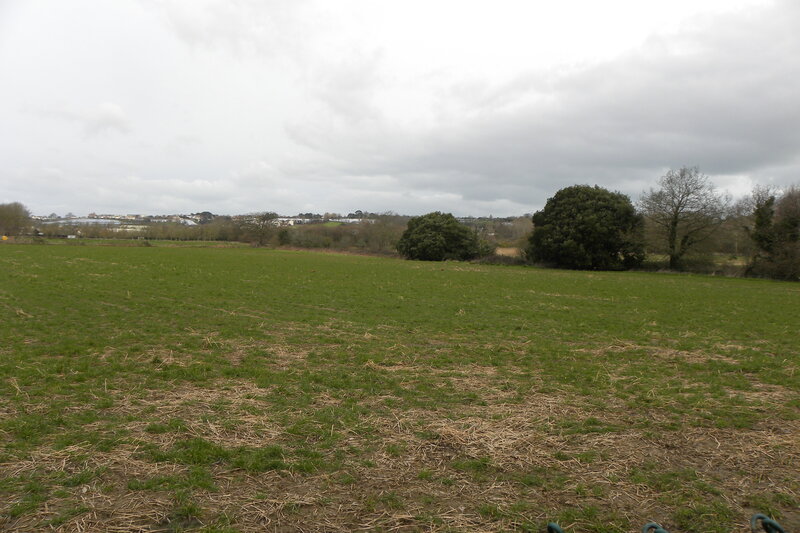 In Jersey there are many species of conservation concern, but, as this study shows, it is birds associated with farmland such as the lapwing, turtle dove, skylark, yellowhammer, stonechat, linnet and reed bunting, that are faring the worst in terms of declining rates. 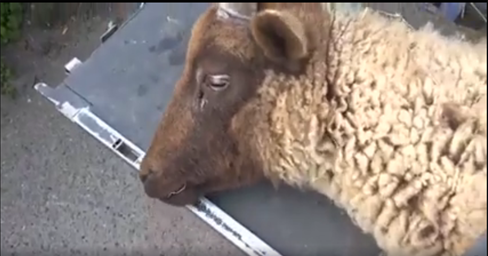 This follows a present trend across the UK and Europe. 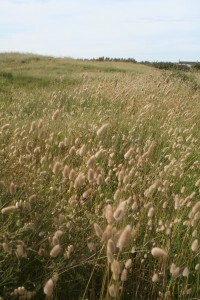 It has been determined that the main causes of these declines are an unusually high mortality during winter, a direct consequence of the modernization of farming techniques, abandonment of marginal land and a changing climate. 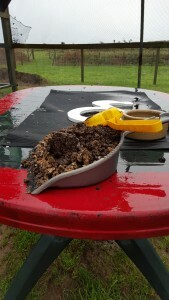 In traditional agriculture, there would be sources of winter food in the form of spilt cereals, fields left in stubble and fallow grounds. 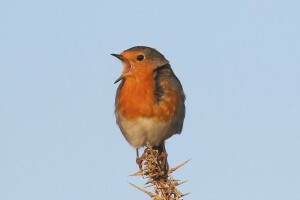 In Jersey it is not known what changes in farming are having an impact on local birds, but it is believed that a combination of intensification, modern technologies and abandonment of marginal land which then reverts to bracken have contributed to the changes in the food availability and subsequent bird declines. 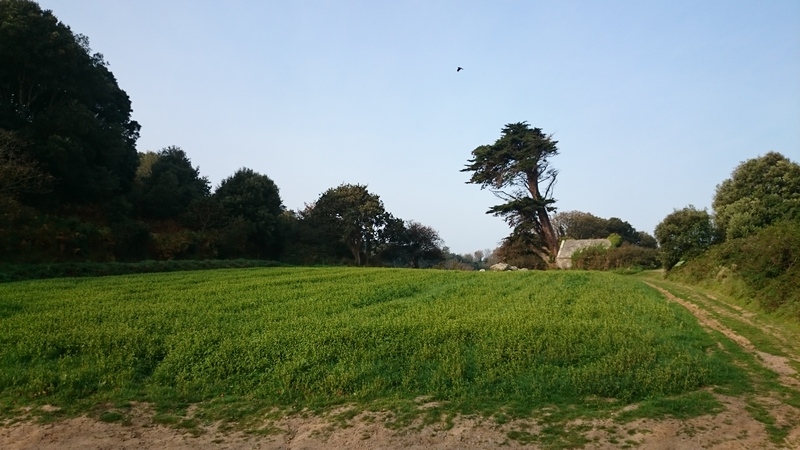 Birds are great indicators for overall environmental health and birds in Jersey are in decline, the island’s broader environment is a lot poorer than people assume. 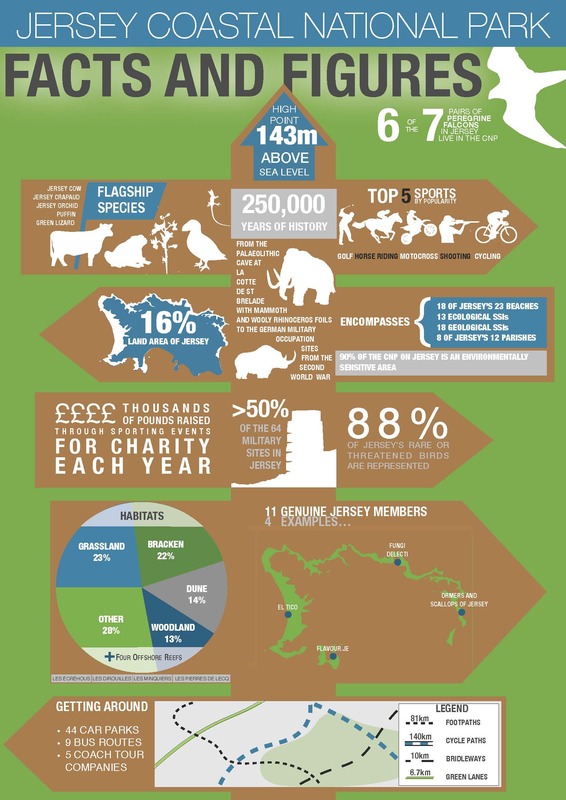 Jersey needs a healthy and diverse environment to prosper, so help the birds and help Jersey. What is being done to benefit these target species which have been identified to be declining in numbers? 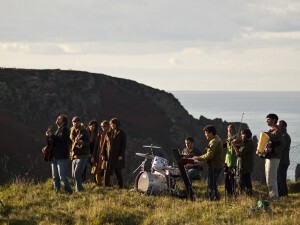 The Birds On The Edge partnership is a joint initiative between The National Trust for Jersey, Durrell Wildlife Conservation Trust and the States of Jersey Department of the Environment, which aims to restore habitats and stop the decline of these bird species. 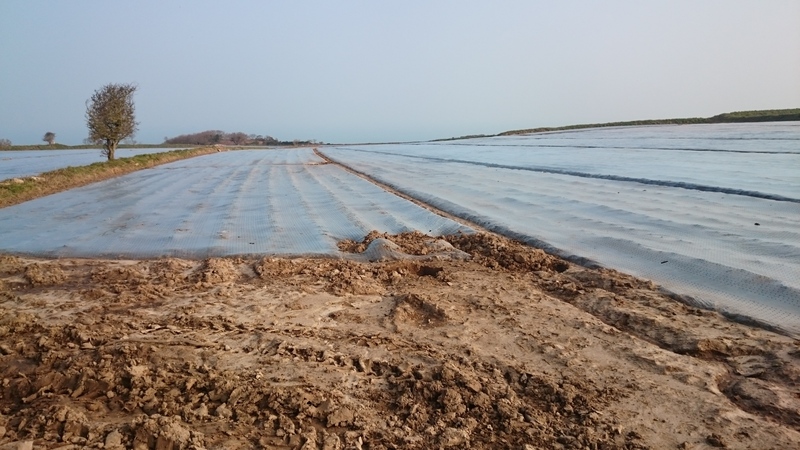 As an integral part of the Birds On The Edge project and in collaboration with local farmers, a total of 49 fields (with a combined area of 30.35ha or 168.6vg) were planted with winter bird crops in 2015 at 12 different sites. 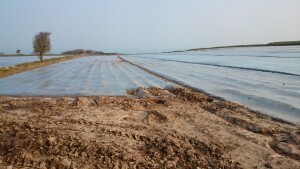 Three varieties of winter bird crops were planted and some barley and mustard. This initiative aims to help our birds get through the winter when food would otherwise be very scarce and be in good condition to breed in spring. 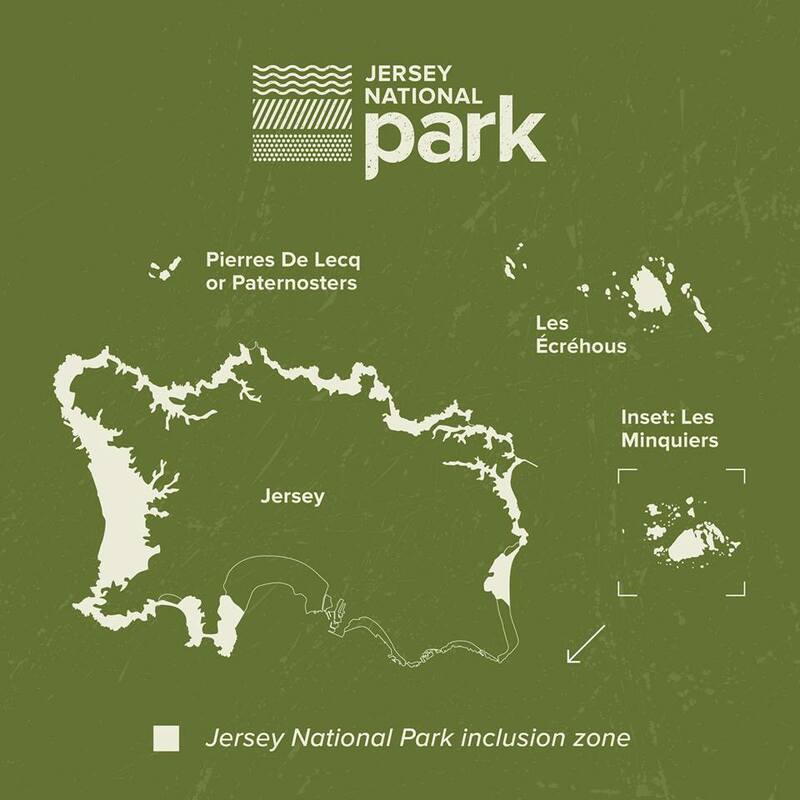 Each of the sites surveyed and the core populations of the declining birds lie within the Jersey Coastal National Park, further emphasising the importance of this initiative to Island biodiversity. Join the National Trust Rangers at Victoria Tower, St Martin to help undertake scrub management. 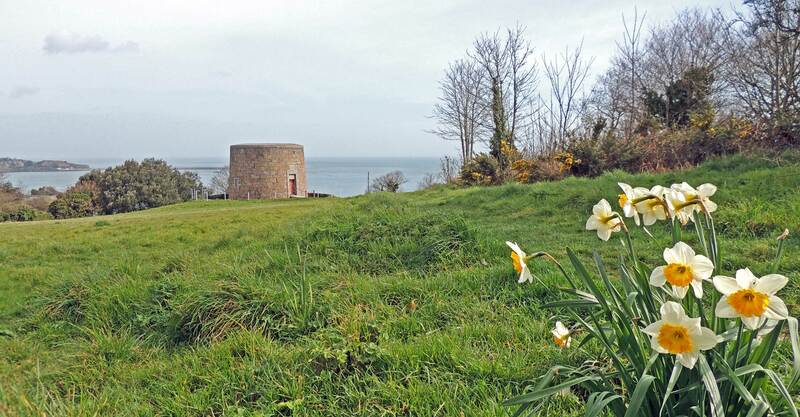 The plan is to prune back some of the mature leggy gorse and buddleia growing on the slope below the tower. The site We will meet in the car park at the eastern end of Le Mont Mallet at 10:20 for a 10:30 start. On Google maps use this link. In the phone book the parking is on Map 10, square 1H. Parking There is some parking available at the meeting place. The task Pruning back the scrub. Tools needed Tools will be provided but if you have a pair of gardening gloves and cutting tools (e.g. a pruning saw and/or a pair of loppers) it would be helpful if you could bring them along with you. Finally, and some would say most importantly, we welcome come back Kim the Kake who will supply us with hot drinks and her yummy homemade cakes. 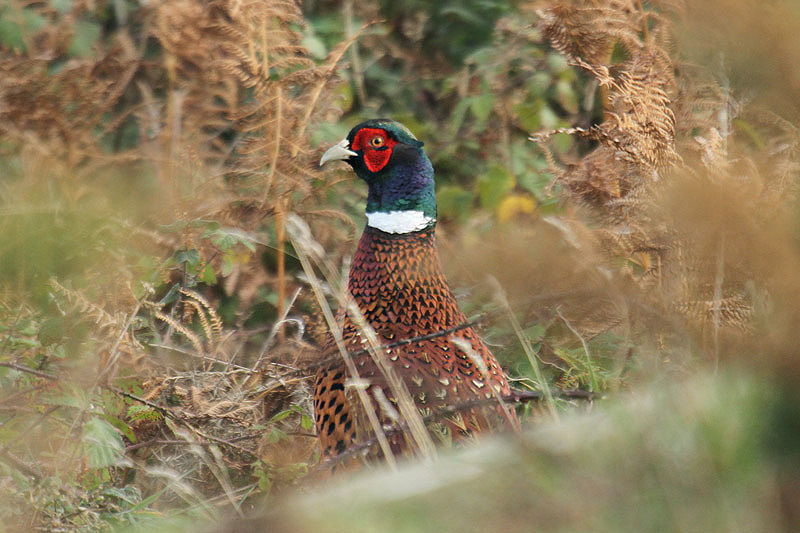 The Department of the Environment is carrying out a survey of Jersey’s pheasants to find out more about the birds and understand their impact on local agriculture and wildlife. 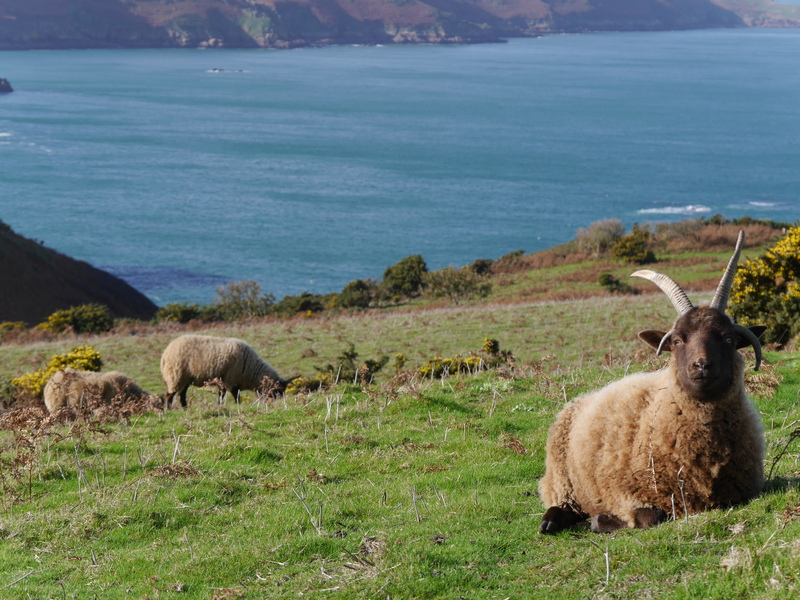 Charmaine Rice, a student from the University of Kent, is working with the Department and the Jersey Biodiversity Centre, along with local volunteers, on a one-year project. The aim of the project is to find out where pheasants live in Jersey, what the population size is and their local impact, including their effect on farmland, and the scale of their impact on local wildlife such as lizards and toads. At this time of year you can hear the male pheasants crowing to establish their territories and attract females. You may notice them more as they perform wing whirring displays, strut around to impress the females and square up to other males to defend their patch. The females can begin nesting as early as mid-March and lay clutches of up to 15 eggs. Pheasants are not native to Jersey and were first introduced in the 1800s, but at that time did not successfully breed. Other attempts to establish a population were made in the 1950s when it is thought they started to breed in the wild in small numbers. 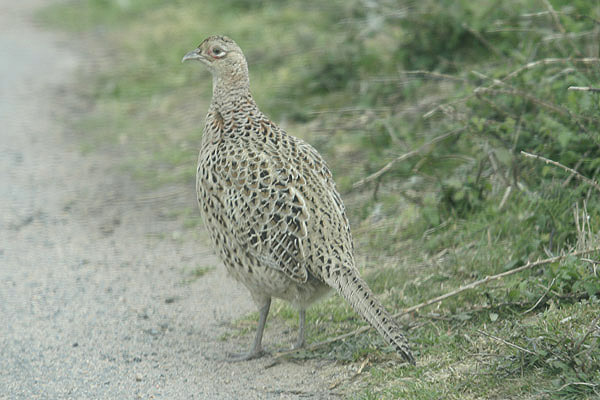 By the 1980s due to captive-breeding and further introductions, pheasants grew in numbers and are now common in Jersey’s countryside. The project’s findings will be used to help the Department decide how pheasants should be managed in the future and what their legal status should be. Charmaine is directly recording pheasants from 36 transects in 18 1km squares across Jersey, and has five volunteers helping who have taken a square each. Highest numbers of pheasants seen so far have been near Le Landes and near La Blinerie, St. Clement which consistently has around 20 pheasants in one field. Pheasants have been seen in all squares. Over 300 people have filled out the questionnaire so far and 190 pheasant sightings were recorded over the last survey week. You can take part in the survey by completing an online questionnaire here If you find a dead pheasant Charmaine would like to hear about it and can be contacted at c.rice@gov.je or telephone 07797810987. 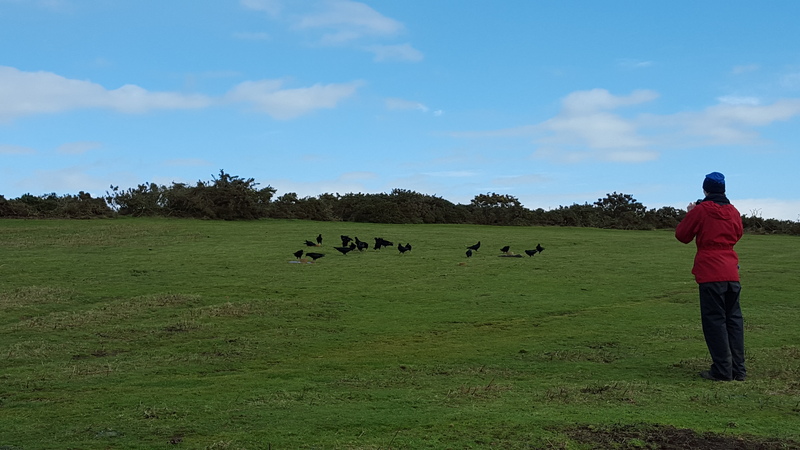 The most significant event for Jersey’s free-living chough population this month has been the disappearance of Blue, the breeding female, who has not been seen since the end of the day on Sunday 31st January. 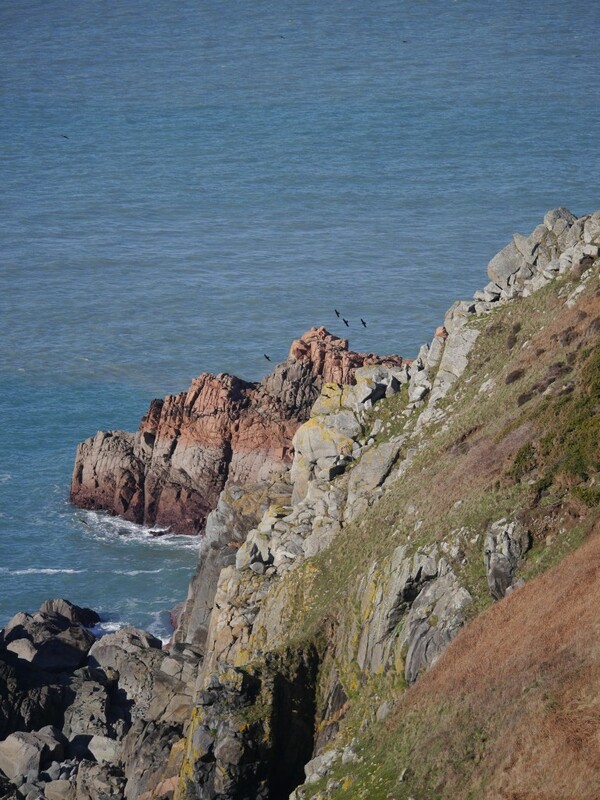 The only potential clue to her disappearance was on 2nd February when the group were observed actively following a peregrine back from Sorel Point to the grazed headland. 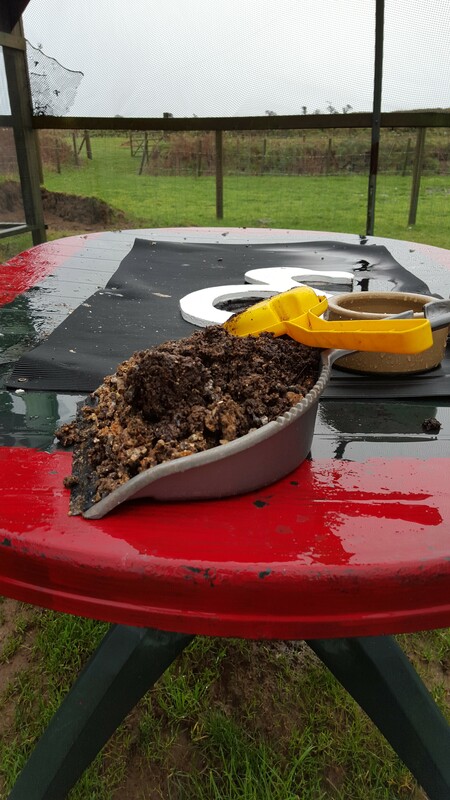 When the group returned to the aviary for supplemental feed we placed the food dishes behind the aviary on the grazed land. This way the birds settle on the ground (providing there are no mountain bikers or walkers around) and we can get a clear close-up view of how everyone is. 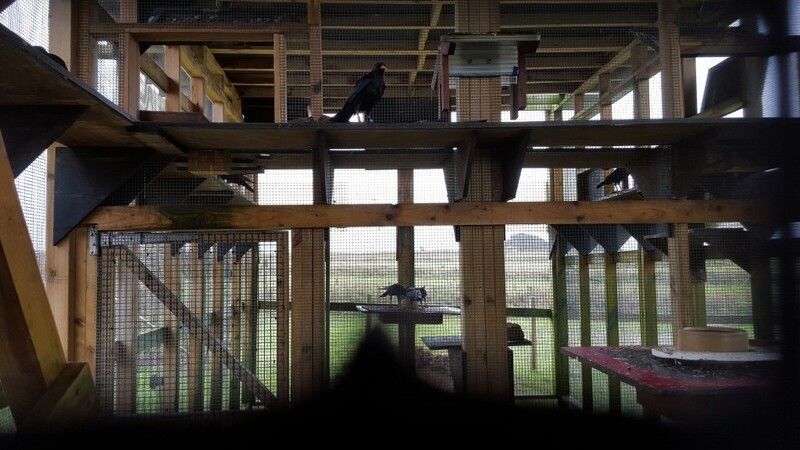 Student, Nicola Cox, feeding the choughs away from the aviary using target training techniques. Photo by Liz Corry. As Green, partner to Blue, came into land it was clear he had a problem with his ‘landing gear’, his right leg was dangling out to the side. When he settled on the ground it was clear to see he was hobbling and reluctant to put any weight on the leg. He was feeding fine and did not seem too perturbed by it. Green has gone through quite a few ordeals in his time living at Sorel including locking talons with a peregrine on his first ever flight away from the aviary in 2013. We monitored him closely for the next 24 hours, but he, the trooper that he is, recovered quickly and was using the leg again the next morning. Could Blue have fallen prey to a peregrine? 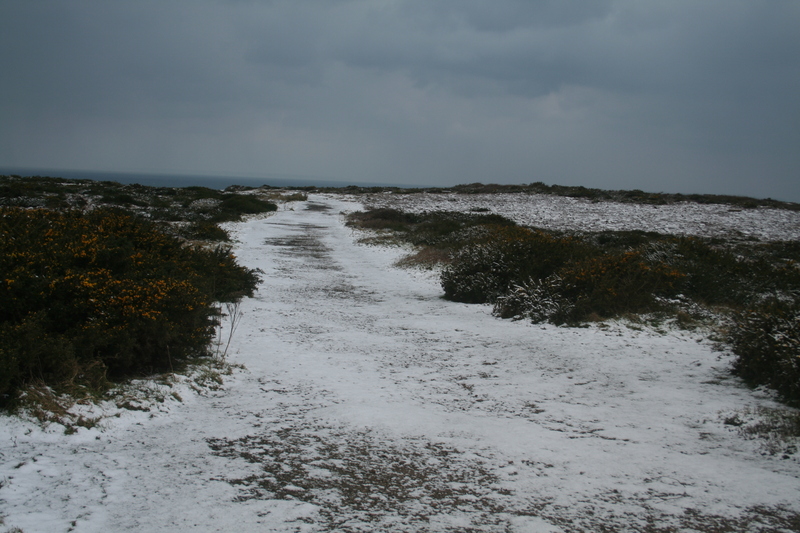 The weather had not been too kind, but not so severe that Blue or the rest of the group were in any danger. She was present at all the feeds before her disappearance and roosting in the relative safety of the aviary. A fair amount of observations had to be carried out from the shelter of the keeper porch due to the constant rain. Photo by Liz Corry. Icho and the others frequently returned to the aviary looking half drowned. Photo by Liz Corry. Whatever the reason, the fact is she has left the group, and life goes on for the rest. None more so than for Green who within the space of a week had re-paired. Black, a single female, wasted no time in making her presence known. Our first true confirmation of the pairing was on the 8th when he was observed passing food to her. This is a bonding exercise which proves to the female that he can provide for her if she decides to incubate eggs. Over the course of the month their bond has strengthened. Whilst it is disheartening to lose a proven breeding female, the fact that Green has re-paired is encouraging. It is also good news for Black as she tried to nest last year and failed in finding a reliable male. It all means that we head into the new breeding season with three strong pairings all with experience of nest-building at the very least. Another interesting change which occurred when Blue left the group was with roost site preferences. Checks in the first half of the month showed that two choughs had decided to re-join Mauve and White in roosting at the quarry. Since last October Green, Black, Blue, Red and Dingle had roosted at the aviary with the juveniles instead of the quarry. 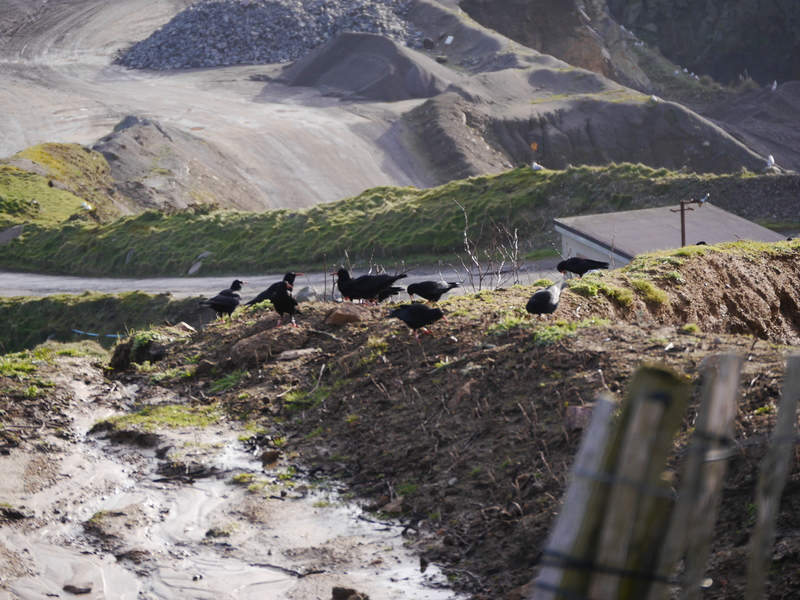 Now it looks like Green and Black are once again roosting in the quarry. Could this be an indicator as to where they will nest this year? February sunset roost checks at Sorel. Photo by Liz Corry. There was a slight chance that Red and Dingle were the two not roosting at the aviary. Ever get that feeling you’re being watched? Photo by Liz Corry. Our confirmation, however, that it was not them came on the evening of 6th February. 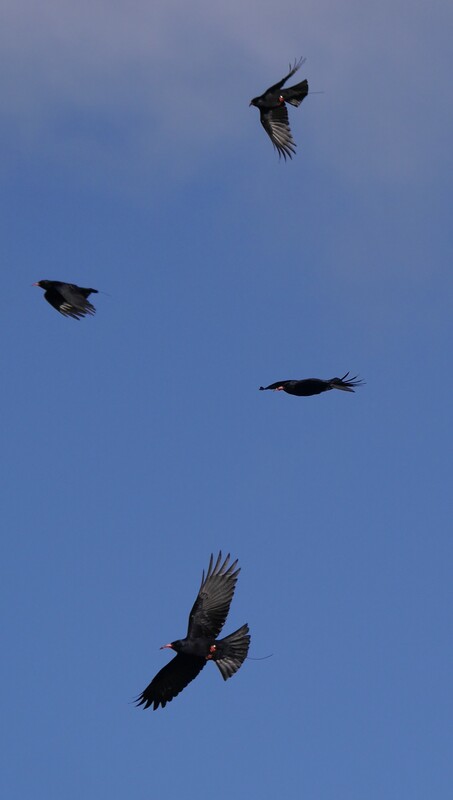 The weather had been clear and calm so the choughs were active right up until the sunset at 17:30. 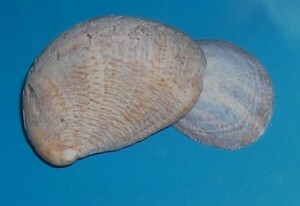 The three pairs were missing from the group. 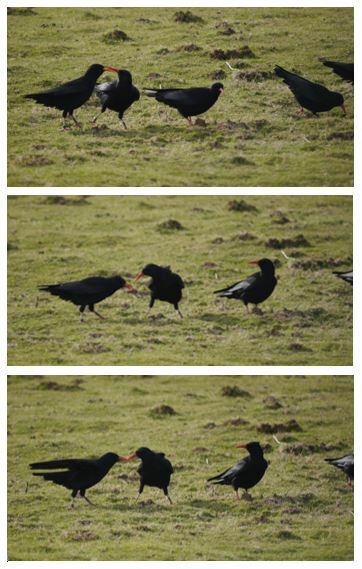 At 17:38 with light almost gone, two choughs shot back from the direction of the motocross track and went straight into the external roost box. It was Red and Dingle. Having two less birds roost at the aviary will hopefully make the task of cleaning out the roost-boxes a little less depressing for the chough team. 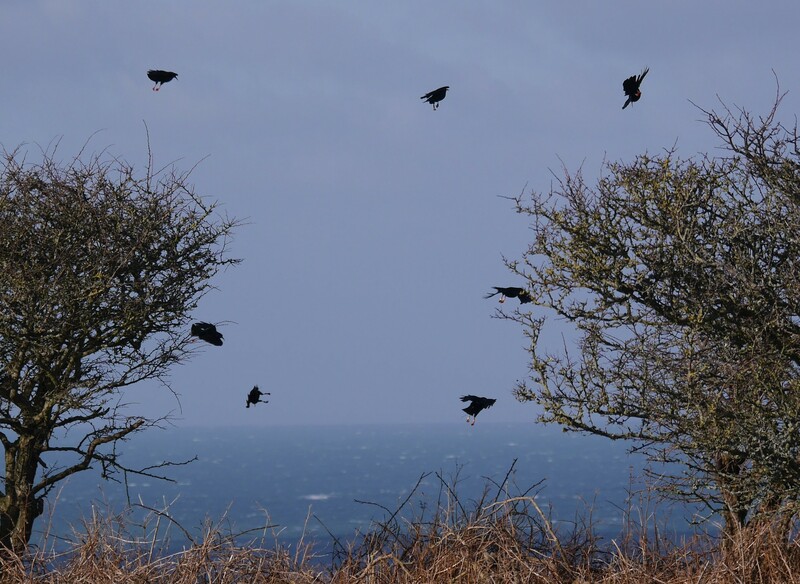 As the winter weather eases off and day length increases we have seen a change in the choughs’ behaviour. The group are spending a bit more time away from the grazed land and moving round to Sorel Point and the motocross area. As far as we know they have not been over to Crabbé at all this month and only occasionally venture over to Devil’s Hole. A welcome break from the rain. Photo by Nicola Cox. The majority of the time we see just 2, 4 or 6 birds flying over to Sorel Point and Ronez Point which we assume are the pairs nest prospecting. 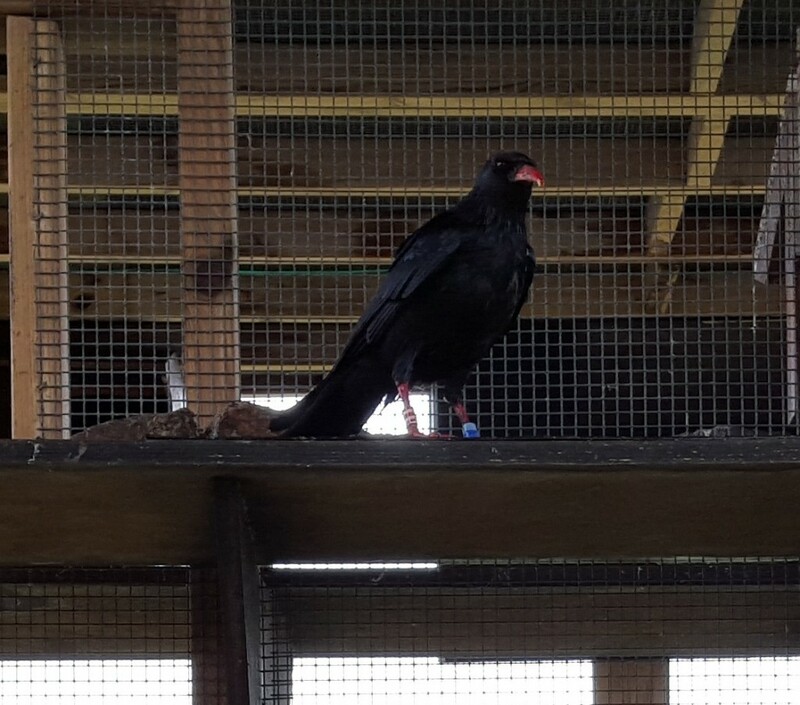 We are very grateful to a private donor and neighbour of the choughs who generously gave a donation to help contribute to the cost of repairing the aviary roof. Durrell’s Maintenance Department will hopefully start work in March. 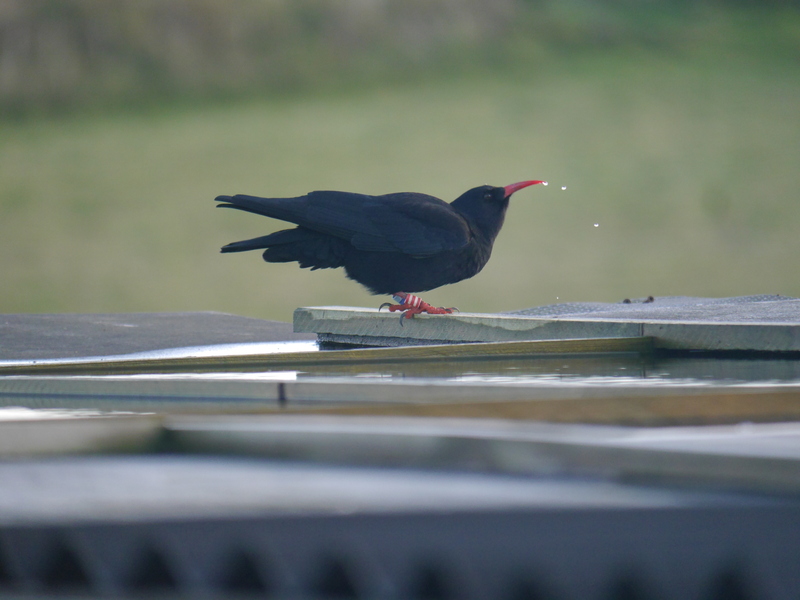 I’m sure the choughs will be very thankful, even if it means they have to find an alternative watering hole. 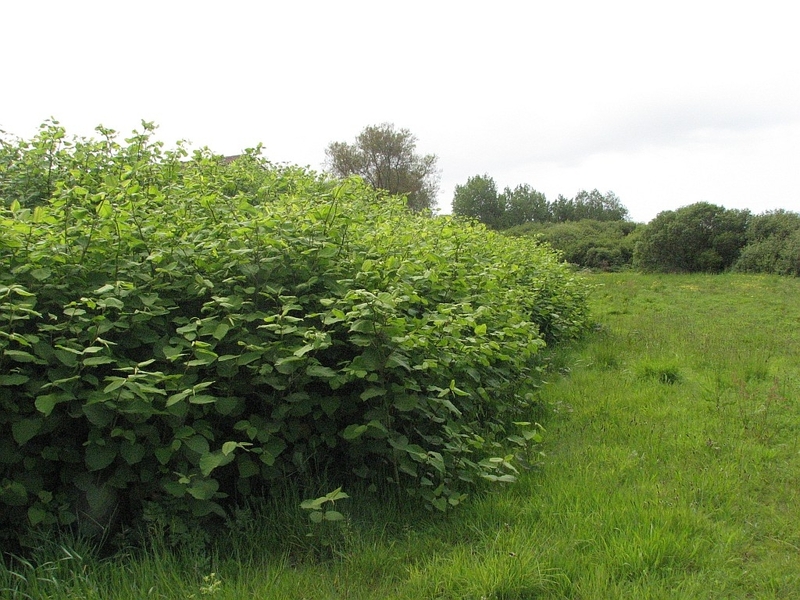 Gardeners, birdwatchers, sportspeople and anglers are being called on to help protect the UK from the threat of invasive non-native species (INNS) at the launch of Invasive Species Week. INNS cost the British economy £1.7 billion a year. To help stop INNS arriving and spreading, Defra and the GB Non-native Species Secretariat are holding a special week to raise awareness of the issue. See details of Jersey’s invasive species here and here. It will bring together organisations from across Britain who can help stop INNS damaging our landscapes and harming our native wildlife. While the majority of animals and plants introduced to Britain are harmless, around 10-15% become ‘invasive’. This year Invasive Species Week coincides with the fifth anniversary of Check, Clean, Dry – a campaign launched by Defra and the Welsh and Scottish Governments in March 2011. The campaign is supported by the Angling Trust and Royal Yachting Association, to provide simple biosecurity advice for recreational water users, particularly anglers, and boat and kayak users. The campaign was launched after the success of Be Plant Wise, a campaign run with the support of the Ornamental and Aquatic Trade Association and the Horticultural Trade Association. 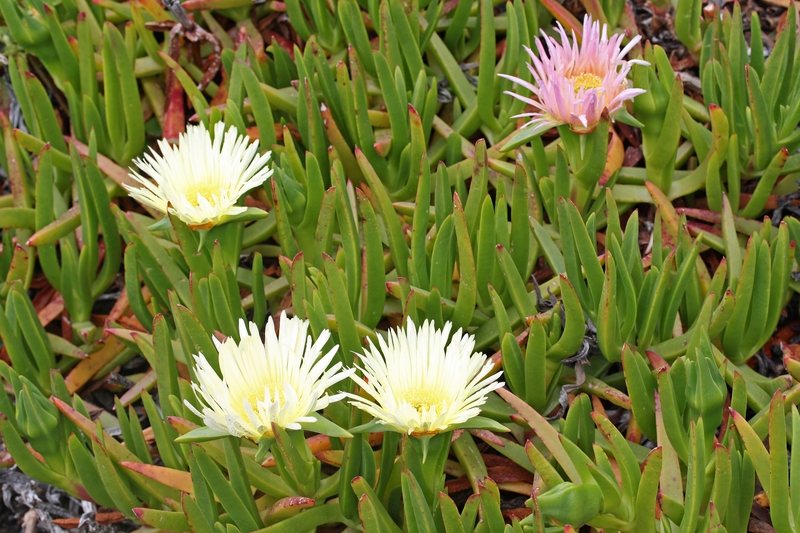 This initiative keeps gardeners and pond owners informed of the dangers caused by invasive aquatic plants and to reduce the risk of them dumping aquatic plants in the wild. 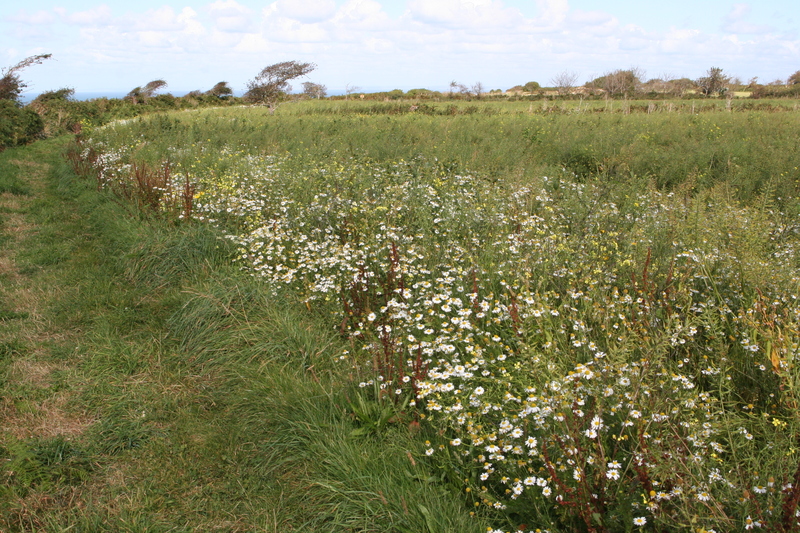 Niall Moore, Chief Non-native Species Officer and Head of the GB Non-native Species Secretariat, said: “Invasive non-native species are one of the key threats to our wildlife and natural environment, and can be extremely costly and difficult to manage if allowed to establish. Help to prevent this from happening by getting involved and spreading the message during Invasive Species Week”. So how do INNS get here? There are several ways but, just think, right now you could be drinking coffee from South America while wearing clothes made in South East Asia, and reading this on a device made in the USA or China. Your lifestyle is only possible due to the thousands of container ships ploughing across our oceans on a daily basis, taking products around the world from one port to another. 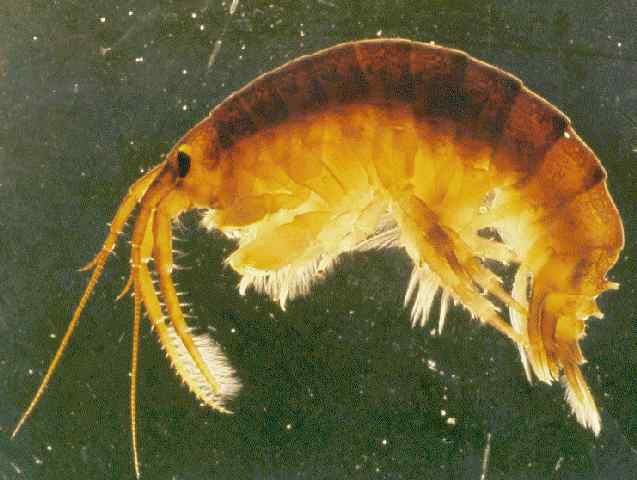 Each day some 3,000 species are transported in ship ballast or on ships’ hulls. Ballast water is taken onboard ship when the ship is empty, and emptied usually in ports when the ship is filled. This water can contain millions of creatures and pathogens, including, for example, cholera. Although most perish en route those that survive may find the waters where they are discharged to their advantage and thrive to the detriment of native species. 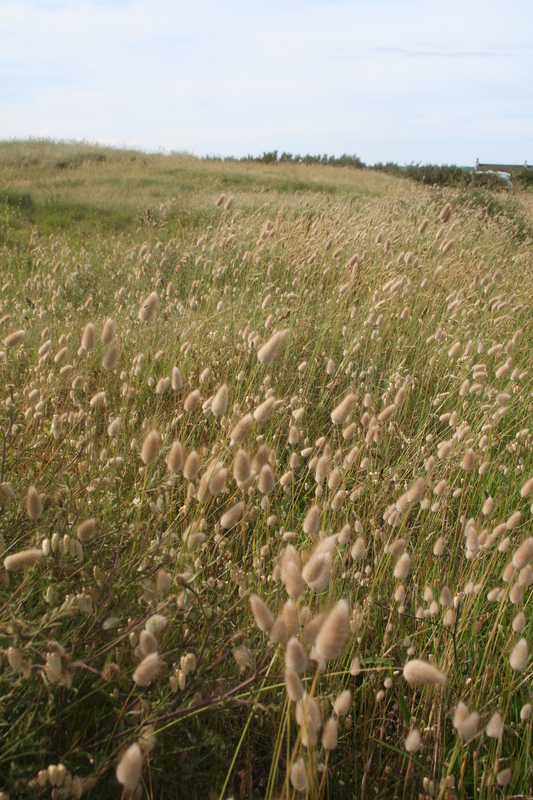 Of the 54 invasive non-native invertebrate species identified by Buglife as currently posing the greatest threat to biodiversity in Britain, 23 (43%) may have been or could in future be introduced via ballast water. Shipping patterns are undergoing changes, and are expanding in volume, frequency and coverage. Specifically, the opening of new, northern shipping routes with the reduction of Arctic ice cover will raise the threat of ballast water introductions from previously blocked geographical areas, augmenting the continuing arrival of species along established commercial shipping routes. Yet our knowledge of marine invasive non-native species is extremely limited and there are few marine species specific risk assessments. 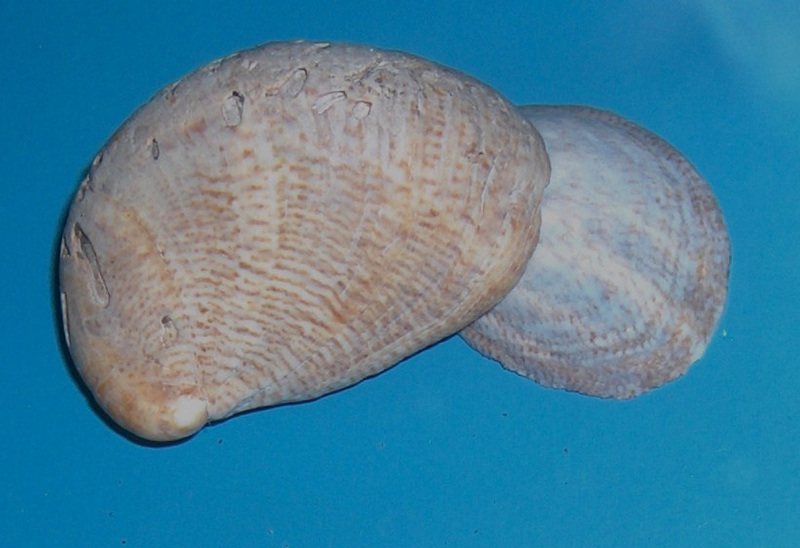 It is practically impossible to eradicate marine and aquatic invasive non-native species once they have established. It is thus imperative that we do our utmost to prevent their arrival and export in the first place to avoid their potential large scale negative impact on native biodiversity and the economy. We need strict controls in place to limit the spread of invasive non-native species by ballast water, not only into British waters but our responsibility to avoid transfer from British waters elsewhere. We have the mechanism to do this through the International Maritime Organisation Ballast Water Management Convention (not yet ratified by the UK). Many of Europe’s large maritime economies have ratified this convention, including Holland, Germany, France and Denmark. 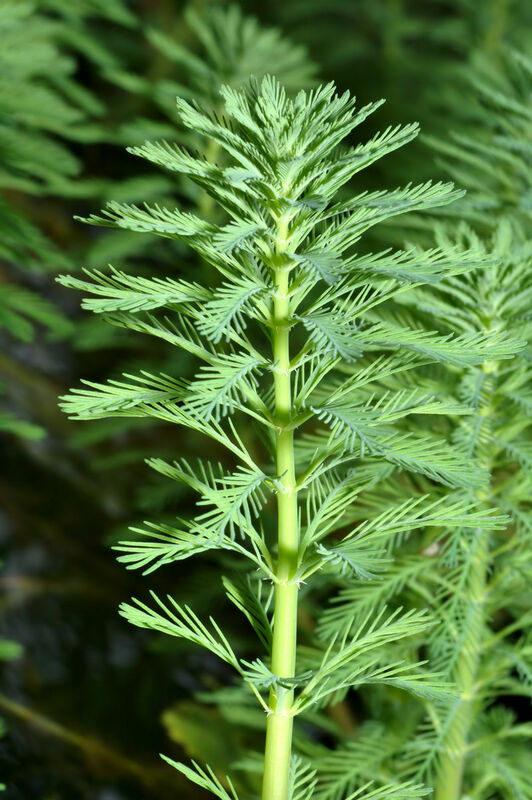 You can help to slow down invasive species by making sure you know what you grow in your garden, especially if you have a pond, and by making sure you clean, check, dry fishing and boating equipment etc. you use around water. 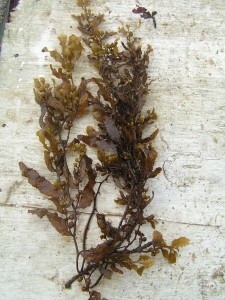 Details of Jersey’s invasive species can be seen here.